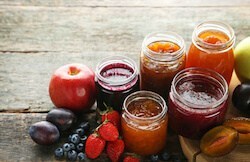 What is sustainable food packaging? 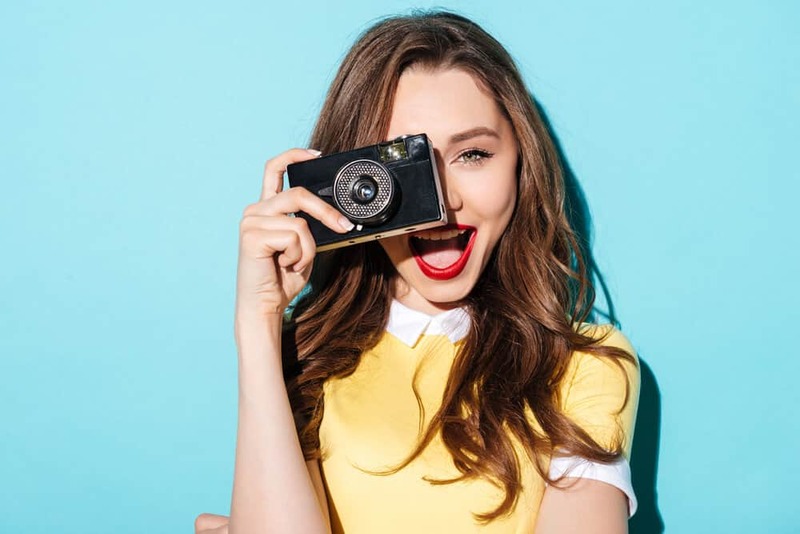 Sustainable packaging is the development and use of packaging which results in an improvement in sustainability, reducing the environmental impact and the ecological footprint. Sustainable food packaging can mean different things to different people. Sustainable packaging could include packing that protects food during transport or storage, is made from responsibly sourced materials, optimising the design to minimise food waste and is made from recyclable materials. Sustainable packaging is a relatively new contribution to environmental considerations for packaging. Many companies are implementing this contribution are more careful in general with materials used to expand the life cycle. What is intelligent food packaging? Intelligent packaging can be defined as packaging that contains an indicator to provide information about the history of the food or quality. 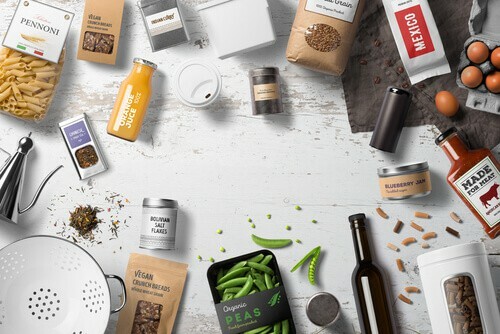 Intelligent packaging is packaging that is able to inform the customer of some of the quality, nature, and product history of the food they have bought. It can let the consumer know if the food is the right temperature or fit the food is okay to eat. Intelligent packaging can help the consumer with traceability, tracking and recording the foods process all the way to the point of sale. How to design food packaging? What are food packaging materials? Materials that have been traditionally used in packaging are materials such as glass, metal, paper, cardboard and of course plastic. 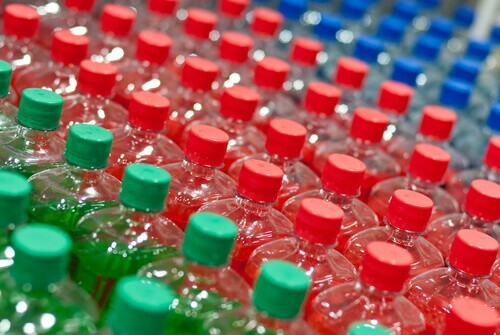 Plastic is the most common packaging method, however, nowadays many companies are trying to reduce their use of plastic in packaging and are using alternatives. 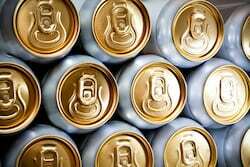 Aluminium is also widely used for products such as beer, canned foods and animal food. Cardboard and glass are also used for numerous foods such as take away boxes and foods such as jam, honey and alcoholic beverages. Food packaging is important as it protects the food and water once they are in a permanent home. The packaging also protects the food for a long period of time not allowing it to go to waste. The packaging also provides us with all the necessary information we need such as nutrition information and where to store the food. Packaging allows you to reseal unused foods in the result that you don’t need to use the content all in one go. Food packaging is a type of container used for different types of food. Packaging provides a layer of protection for the different types of food, prevents tampering resistance and protects the food from biological agents. Food packaging may feature nutritional facts, images and other information about the foods. Food packaging can be made from many different materials such as plastic, glass, metal, paper and cardboard. You can also get special types of packaging such as packaging, wine boxes and bags in boxes. Food packaging waste is the leftover material that usually goes into the rubbish. About one-third of an average dump is made up of packaging. This has been an ever growing problem in our society for a long time now. We as a society have created a throwaway culture where we use an item once and then throw it away forever such as a straw. The United Kingdom alone produces more than 170m tonnes of waste every year. Wyatt & Ackerman have biodegradable packaging options to help reduce packaging waste. 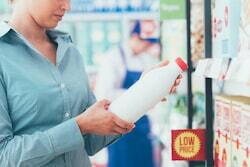 How food packaging affects the environment? Food packaging can damage the environment. We have unfortunately developed a throwaway culture, it has been estimated that 50% of plastics are used and then thrown away after one use. Packaging industries are evolving and are being pushed into a more environmentally friendly environment. This is happening all over the world In Kenya, if you are caught producing, selling or even using a plastic bag can risk four years imprisonment or £31,000 fine! 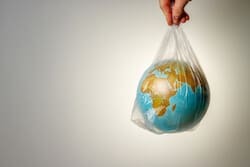 Other countries such as Sri Lanka, China and France have banned plastic bags also with Bangladesh being the first in 2002. What food packaging can be recycled? Many packaging items have instructions on the information section on how to throw away your waste. Before you recycle any of your waste make sure you remove any of the food or drink left over by rinsing it in washing up water. Squash items down to make more room in the bin. Food cans, drink cans and plastic bottles can be widely recycled at home or at recycling centres. Cardboard boxes and tubes, cartons, glass bottles, glass jars and foil trays are all fine to recycle. How much food packaging is thrown away? Today there are 7.53 billion people in the world which means there is a lot of waste as a result of this. Some facts about packaging waste include that yearly plastic waste can circle the earth four times, 10 million tonnes of plastic ends up in the sea every year, 50% of plastic is only used once, 1 million plastic bags are used every minute and 7 million coffee cups are thrown away in the UK every day. How crazy is that? How to reduce food packaging waste? You should start by recycling, this seems like a no brainer but glass, aluminium, paper, plastic and cardboard can all be recycled. Take your time to do your part for the environment and don’t forget to try and get your friends, family and co-workers involved too. You also could opt for biodegradable packaging products! This could be you buying products in glass jars, cups, vases or choosing packaging that will decompose naturally. 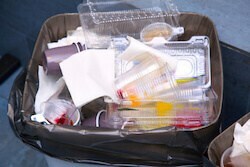 We have biodegradable options here at Wyatt & Ackerman to help you reduce your food packaging waste. Most food packaging is recyclable, however, it will need to be sorted through and organised. Our food packaging comes in many different shapes and sizes and also comes in a lot of different materials. Many materials are easy to recycle at home, however, some materials may need to be taken to a special collection point. A few packaging materials are unsuitable for recycling and should be placed into the bin. Biodegradable food packaging breakdown naturally into organic agents. The material breaks down because of the exposure of natural environmental factors such as heat moisture. 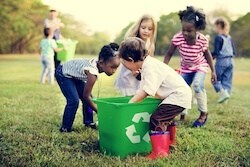 Biodegradable food packaging is much better for the environment and creates far less pollution than normal packaging. They produce only 32% of greenhouse gases that are emitted by petroleum-based plastics. Biodegradable packaging will also keep your food fresh for longer. 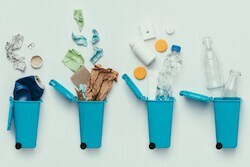 It will reduce the amount of waste that gets thrown into landfills and in the environment. what food packaging is biodegradable? There are many biodegradable and recyclable packaging materials available to use! 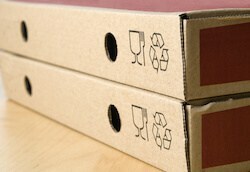 Paper and cardboard are reusable, recyclable and biodegradable. 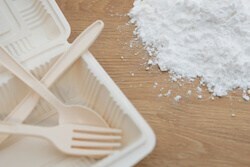 Corn starch items are biodegradable and are ideal for items which have a limited use such as take away boxes. Bubble wrap is widely used as a packaging material, it is environmentally friendly and is completely degradable. 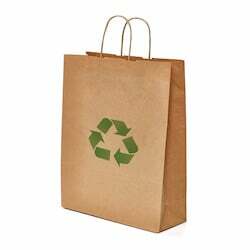 Finally, Biodegradable plastic is now very commonly used in plastic bags and also in items such as envelopes. This plastic decomposes when exposed to daylight.